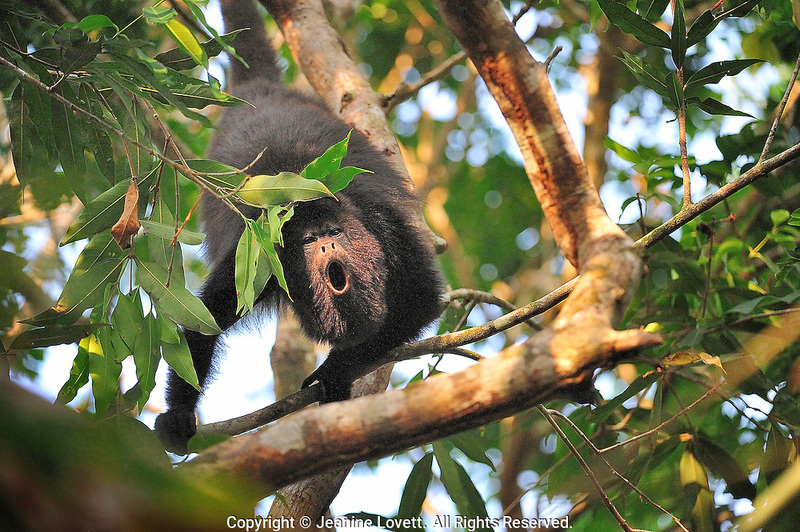 howler monkey, Alouatta caraya. Belize, baboon sanctuary, A unique conservation effort brings together eight villages to protect the population and habitat of Belize's Black Howler Monkey, affectionately called "baboons" by the locals. A wild howler monkey has a man made star stuck in it's fur.